Great for a 1 Day Con! 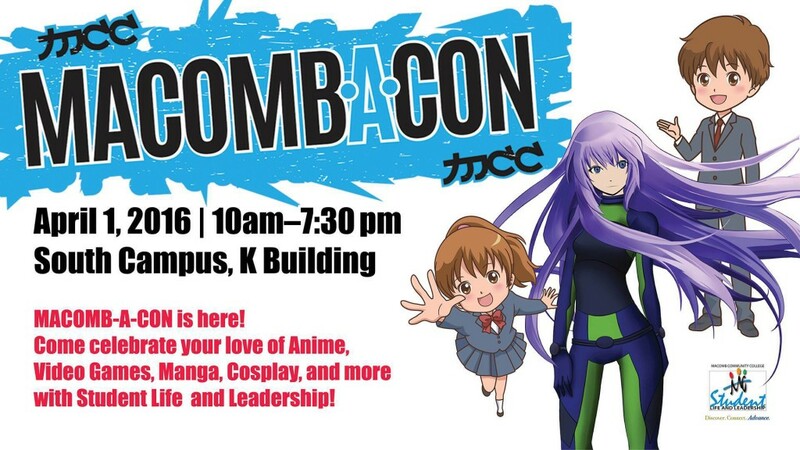 I was pleasantly surprised by the level of organization and number of attendees for this one day con. Table rate has increased to $40 for artists (I think less if you apply early), but I had broken even an hour in, so it wasn't an issue. The artist alley was still upstairs, but the elevator was pointed out and I don't have a lot of heavy items. The tables were 8 feet (which shouldn't be revolutionary at this point, but SO many cons give 6 foot tables...). Staff came and checked up on us once or twice. Alley hours were 10-8, which was pretty long but they let us pack up at 7 as everything was winding down. What I found surprising was how many people came right at opening, since I'm used to people not showing up until after lunch. It started to wind down at 4, sales wise. Pepsi was a sponsor so they gave us free energy drinks. There was very affordable food and drink downstairs, of the pizza/hot dog caliber. There also seemed to be a lot to do: photo booth, 3 game tournaments, live action Mario Kart, virtual reality demonstration room, anime streaming, costume contest, and a few panels. My main issue was that there were two rooms for AA and the second (which I was in) was much smaller. It was directly across from the first room, though, and the con staff printed out extra signs directing guests to the second room once this concern was voiced. We managed to get a lot of foot traffic anyway and were quite busy, but I wonder if we would've done better if we were in the other room. Also personal pet peeve: the derby booth next to us had their kids roller skating in and out of the room with wands and broomsticks and while they were quiet and didn't harass anyone it made me nervous so hopefully there will be a policy against that next year. Luckily the location is super close for me so I didn't have to fret about travel costs, although I can say there was enough profit margin to not have had to sweat about it either way. The building the convention was held in was a bit inconvenient; if you had a lot to carry it was a bit of trouble going up the stairs and tiny elevator. The load-in area was not well advertised - luckily the staffers at the entrance pointed us to the elevator for the second floor. That aside the attendance was pretty good for first year and I was very satisfied overall. Good one day con, potential in growth. The location was only a half hour drive from my home so I definitely had to claim a table! Vending stuaff was rather on the slow side of things since applications are all paper mail based and it took more than a week (aka 3 days before the con!!) for me to receive confirmation that they had received payment and that I had a table. I was rather fortunate to have a table right next to an outlet, as the booths in the middle of the room didn't have direct access to electricity (as far as I know). The vendor's room was also on the second floor of MCC's student center, so people who were carting things in had a bit of trouble not only with the flight of stairs to enter the building, but the additional two flights to get up to the room. My table area was roomy, and I had enough space for storing and displaying items. It's your basic 8ft table and very affordable for $25 ($35 for vendors). For a first time con, I'd say that it was well attended. Many people came through the vendor's area in between the panels in the adjacent room, and the place had a good amount of foot traffic as cosplayers were using the area to take pictures. I actually really liked this so it didn't feel like I was missing out on too much while running my table. There's a Starbucks beverage vending machine, which was great since I pulled an all nighter and badly needed a caffeine fix during the last leg of the con. Overall: There's some small things to improve on, but overall very good for a first con. I'm looking forward to having a table again next year!